Two England international athletes won the inaugural Roseland August Trail (RAT) on the Cornish south coast, the tough new addition to the off-road racing calendar in the UK. 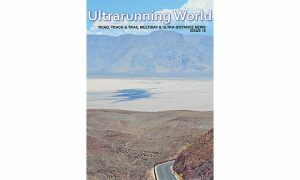 Allen Smalls, an England athlete at ultra-marathon distance, came first in the aptly-named “black route” 32-mile section of the 2012 RAT, which took place on the 18th August. Smalls completed the extremely challenging course in just under five hours (04:54:25). 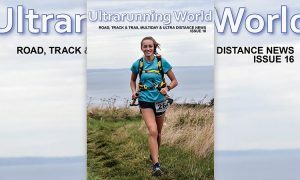 The first female runner home in the 32-mile event was Isobel Wykes (05:19:44), who has also represented England at ultra-marathon distance. 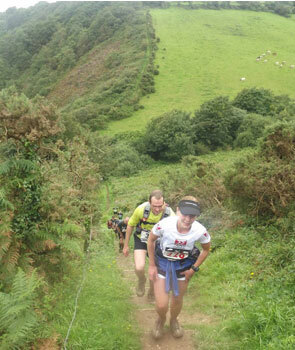 Over 300 competitors took part in the 2012 RAT, covering some of the most testing and beautiful coastline in the UK. As well as the 32-mile black route, runners also had the option of entering a 20-mile “red route” and an 11-mile “white route,” both on the same terrain. All three races were timed so that runners would finish concurrently at the event village in Porthpean, with spectacular views over Saint Austell bay. In the 32-mile event, the winner Wells was closely followed by two local St Austell runners: Duncan Oakes (05:00:17) and Dan Alsop (05:12:42). After Wykes, Sharon Daw (06:04:13) was second among the female athletes, with Emma Murray (06:10:17) third. The 20-mile red route was won by Michael Robinson (02:42:45), with Nicky Taylor (03:55:53) finishing first among the women. Adrian Mussett (01:30:50) won the 11-mile white route, while Ellie Sutcliffe was the first female runner home. Runners were particularly complimentary about the event village at Porthpean. Alongside the race HQ, MCE had set up a campsite for those who wanted to stay over, plenty of food outlets, post-race massage facilities, a bar selling award-winning Tribute bitter from St Austell Brewery, motivational talks from a range of experts, as well as live music. Not only was there a choice of distances to suit all tastes, but colour-coded “survivor” t-shirts meant that it was immediately obvious what everyone had achieved, adding to the convivial atmosphere. “The event village worked really well. We would also like to thank all our sponsors for helping make the 2012 RAT so successful,” Trudgian said. The 2012 RAT was sponsored by St Austell Brewery, Red Bull, The North Face, Personal Best Running Store, Chufstuf, Clif Bar, Inspired Development, Stephens Scown Solicitors and Philip Martin estate agents. The National Trust and Childrens Hospice South West also supported the event. Next year, MCE are promising a bigger and better RAT. There will still be a choice of this year’s three routes, plus one added one. The Plague: 64 miles of rugged Cornish coastline starting and finishing in Porthpean. “The Plague will be a supreme challenge for even the most hardened runners. 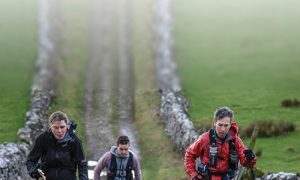 We’re hoping it will become a ‘must-do’ race that any endurance specialist will want to try for themselves,” Trudgian said. Visit the race website, Roseland August Trail, where you can find the full results. One Response to "Smalls Wins Inaugural Roseland August Trail (RAT) 2012"